Here are a list of organizations and links that may be useful to you. Most have excellent websites and lots of useful information. Dedicated to understanding and meeting the behavioral challenges of angry, inflexible children. Includes an innovative, well-defined approach to intervention amenable to the needs of most families. Anger Management for Young Children. This website has other basic developmental advice for parents. Research program directed by Simon Baron-Cohen, Ph.D. Includes several tests which can be downloaded to assist in diagnosis of autism or Asperger’s disorder. An autism science and advocacy organization dedicated to funding research into the causes, prevention, treatments and a cure for autism, and advocating for the needs of individuals with autism and their families. The Autistic Self Advocacy Network seeks to advance the principles of the disability rights movement with regard to autism. The Autistic Self Advocacy Network is a 501(c)(3) nonprofit organization run by and for Autistic people. Comprehensive information about ADHD including evidence-based treatments, new research and links to individual state chapters of CHADD. Ellen Littman, PhD on girls with ADHD. Information on managing aggression and conduct problems in young children. Links to many resources for specific behavioral challenges emphasizing research-based practices. The Greenspan Floortime Approach is a system developed by the late Dr. Stanley Greenspan. Floortime meets children where they are and builds upon their strengths and abilities through interacting and creating a warm relationship. Distributes wide range of therapeutic games including those designed to improve social understanding, self-awareness, and prosocial behavior. Promotes coordinated, evidence-based social, emotional, and academic learning as an essential part of education from preschool though high school. Advocacy organization dedicated to improving emotional literacy among children. Links to relevant books and resources. Classroom-based parenting program that aims to reduce aggression through the fostering of empathy and emotional literacy. The program reaches children aged 3 to 14 years. National advocacy organization dedicated to disseminating information on learning disabilities and related legislation. Helpful in understanding your child’s rights in school. Also includes links to LDA state chapters. Useful information about learning disabilities and related resources in Canada. Discuses school policies and legislation specific to Canadian education. Broad range of information about learning disabilities and their implications for academic and social development. Focuses on nonverbal learning disabilities and includes information on subtypes, diagnostic criteria, and links to parent-friendly resources. Useful information about nonverbal learning disorders and how they may be manifest at home and school. Includes suggestions for treatment options. Searchable website with broad spectrum of information and advice for youth of all ages from many experts, including behavior, development, and health. Provides online forums for discussing parenting strategies for a variety of behavioral concerns related to children of all ages. Addresses many common childhood developmental concerns. Emphasizes ideas and suggestions for a holistic approach to children’s health, including behavioral difficulties. Information for families with children who have special needs, including those who are gifted. Updates on neuroscientific research that may be helpful in determining your child’s needs. Website for children’s health and development, multiple topics. For personal and professional renewal of educators. Programs based on the books by Parker J. Palmer focus on renewing the inner lives of professionals in education. Multi-year school program to improve learning skills and respectful connections among students, educators, and parents. Emphasizes integration of academic, social, and emotional goals and can be implemented at any school. Experiential, multicultural and collaborative international organization of member schools sharing a similar pedagogic perspective. Deborah Meier is a teacher, author, and founder of successful small schools in New York City and Boston. She blogs with different education thinkers on issues affecting students, teachers, and schools. Contact information for board-certified psychologists in diverse clinical specialties, organized by state. Largest professional organization of psychologists, providing wide range of information to professionals and the public. Includes recommended resources for specific behavioral problems and information about how to find a qualified psychologist. To improve the lives of children and adults with Sensory Processing Disorder (SPD) and their families through research, education and increased global awareness. Website of author Carol Stock Kranowitz, with resources to help families, teachers, and professionals understand SPD in children. Information about social anxiety and phobias including diagnostic criteria, treatment options, and a moderated discussion of anxiety-related topics. Extensive information on speech and language disorders, referral service to speech/language pathologists and guidance about how they can potentially help your child. Government site providing statistics on communication disorders, current programs of research, clinical trials, and training opportunities. Resource for education, advocacy, research and suport for brain injury surviviors, their families, and medical and rehabilitation professionals. Greene, Ross B. The Explosive Child, Harper Collins, New York, 2001. Kindlon, Dan &Thompson, Michael. Raising Cain: Protecting the Emotional Life of Boys, Ballantine, New York, 1999. Macmillan, Bonnie. 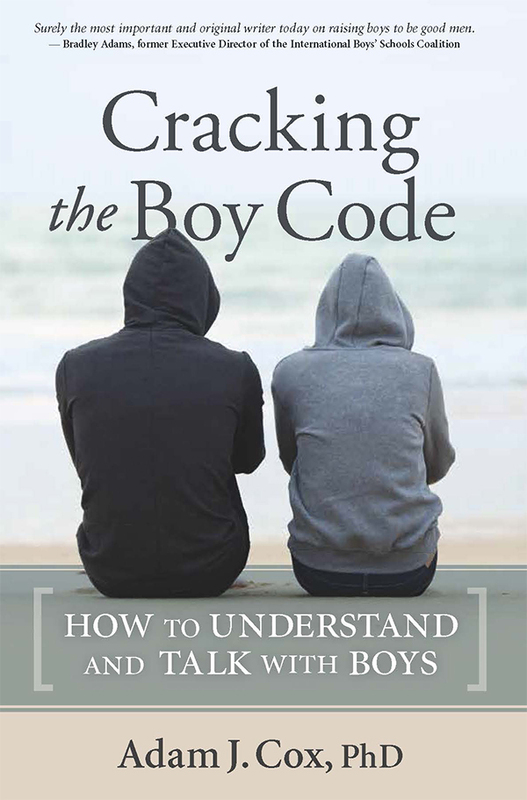 Why Boys are Different and How to Bring Out the Best in Them, Barron’s, New York, 2004. Pollack, William. Real Boys: Rescuing Our Sons from the Myths of Boyhood, Henry Holt, New York, 1998. Goleman, Daniel. Emotional Intelligence: Why It Can matter More Than IQ, Bantam, New York, 1997. Gottman, John. The Heart of Parenting: Raising an Emotionally Intelligent Child, Simon & Schuster, New York, 1997. Barkley, Russell A. Taking Charge of ADHD: The Complete, Authoritative Guide for Parents (Revised Edition), Guilford, New York, 2000. Rourke, Byron P. Nonverbal Learning Disabilities: The Syndrome and the Model, Guilford, New York, 1989. Thompson, Sue. Nonverbal Learning Disabilities at School: Educating Students with NLD, Asperger’s Syndrome and Related Conditions, Routledge, London, 2002. Wilens, Timothy. Straight Talk About Psychiatric Medications For Kids, Guilford, New York, 2004. Gopnik, Alison, Meltzoff, Andrew N, & Kuhl, Patricia K. The Scientist in the Crib: Minds, Brains, and How Children Learn, William Morrow and Company, New York, 1999. Healy, Jane M. Endangered Minds: Why Our Children Don’t Think, Simon & Schuster, New York, 1990. Nowicki, Stephen & Duke, Marshall. Helping the Child Who Doesn’t Fit In, Peachtree Publishers, Atlanta. All information provided on dradamcox.com, Family Matters, or Ideas on Youth sites is provided for information purposes only and does not constitute a legal contract between Dr. Adam Cox, and any person or entity unless otherwise specified. Information on ww.dradamcox.com, Family Matters, or Ideas on Youth sites is subject to change without prior notice. Although a reasonable effort is made to present current and accurate information, Dr. Adam Cox makes no guarantees of any kind. On www.dradamcox.com, Family Matters, or Ideas on Youth site may contain information that is created and maintained by a variety of sources both internal and external to www.dradamcox.com. These sites are unmoderated forums containing the personal opinions and other expressions of the persons who post the entries. Dr. Adam Cox does not control, monitor or guarantee the information contained in these sites or information contained in links to other external Web sites, and does not endorse any views expressed or products or services offered therein. In no event shall Dr. Adam Cox be responsible or liable, directly or indirectly, for any damage or loss caused or alleged to be caused by or in connection with the use of or reliance on any such content, goods, or services available on or through any such site or resource.